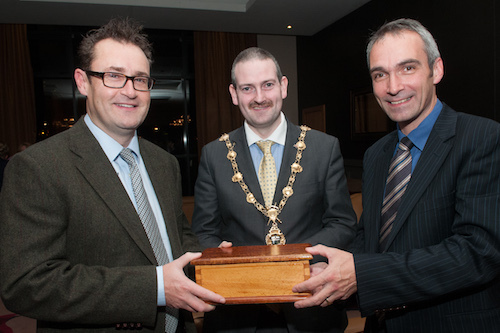 Dr Edward McKone, (outgoing President of the ITS) and Dr Anthony O’Regan (incoming President of the ITS) with Lord Mayor of Derry, Councillor Martin Reilly at the ITS Drinks Reception, kindly hosted by the Lord Mayor. 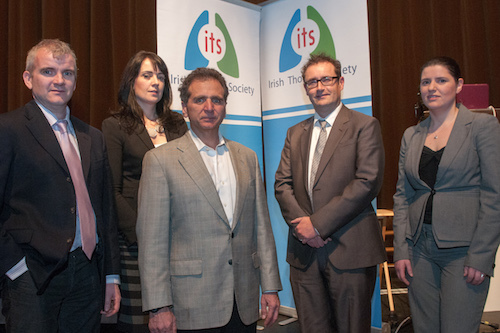 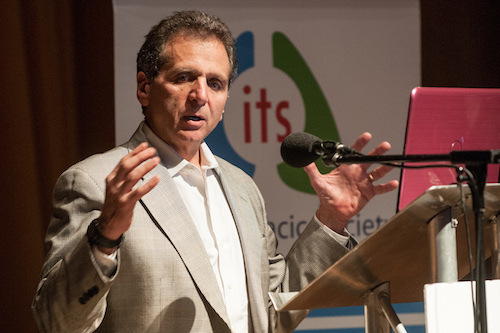 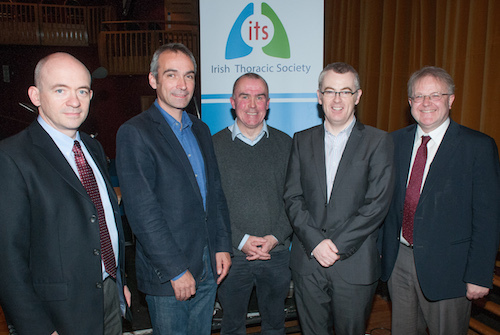 At the ITS Guest Lectures on Saturday 16th November are Dr Danny McAuley, Queens University Belfast, Dr Anthony O’Regan, President, ITS, Prof John Simpson, University of Newcastle, Dr Martin Kelly, Altnagelvin Hospital, Derry (Local Organiser) and Prof Stuart Elborn, Queen’s University Belfast. 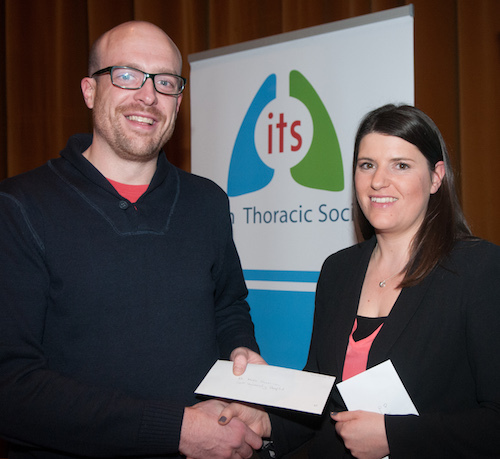 Receiving the Award for Best Oral Presentation: Runner-up is Dr Mike Harrison, Cork University Hospital with Ms Niamh Tuite, Boehringer Ingelheim Ireland. 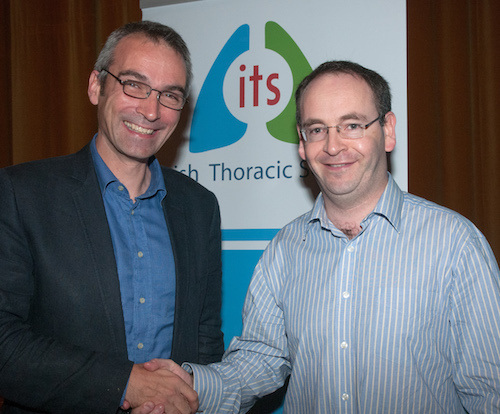 Receiving the Award for Best Poster Presentation on behalf of Dr Alex Franciosi, St Vincent’s University Hospital is Dr Marcus Butler with Dr Anthony O’Regan, President, ITS. 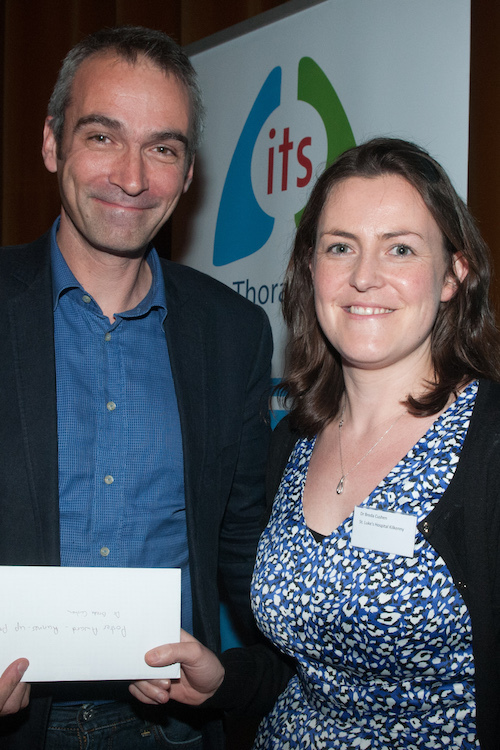 Receiving the Award for Best Poster Presentation: Runner-up is Dr Breda Cushen, Galway University Hospital with Dr Anthony O’Regan, President the ITS.